Last week, the world witnessed a landmark moment at the UN Human Rights Council. 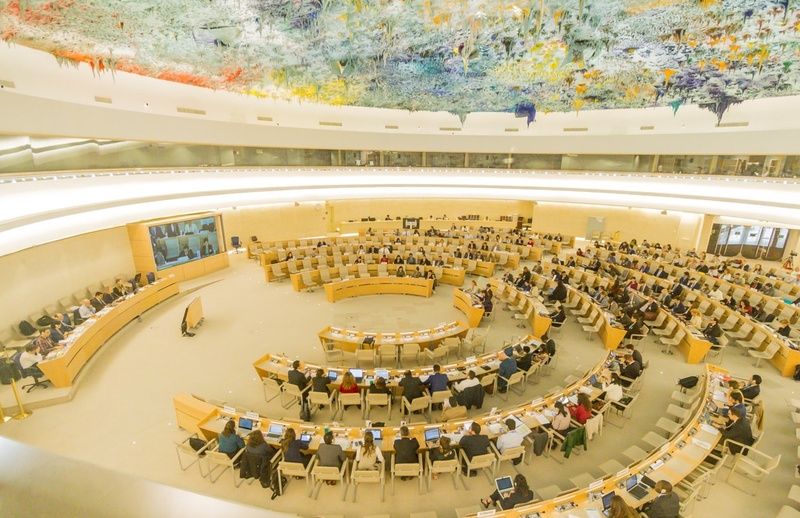 With an unprecedented participation of more than 90 states, the fourth round of negotiations kicked off for the text of the future UN treaty on Transnational Corporations (TNCs) and other Business Enterprises with Respect to Human Rights. Negotiations evolved around a “draft 0”, presented by the chairperson-rapporteur of the working group, where disputed issues such as prevention, human rights defenders, gender and the primacy of human rights over business interests took center stage. The completion of the session and continuation of the process represent significant progress for the countless communities and individuals who have struggled for decades to defend their human rights from crimes and abuses by transnational corporations. Several countries of the Global South, the BRICs and some Eastern European States made substantial contributions, establishing important elements for the preparation of a new draft. These included proposals to bridge the differences regarding the scope of the instrument, clarifications on possible overlaps of jurisdiction and strengthening prevention and access to justice. Despite the European Parliament issuing a resolution calling for the participation of the EU just a week before, the participation of the European External Action Service (EEAS) representative was limited and had little impact on advancing the contents of the Treaty. More striking still, the EU dissociated itself from the rest of the countries during the final adoption of conclusions, leaving the door open to further limiting its participation and even withdrawing from the process in the not too distant future. Increasing from previous years, more than 300 representatives of civil society organizations and social movements attended the process to feed into the negotiations. During their interventions, civil society drew special attention to the need for strengthening the legal accountability of companies along the value chain, including mandatory criminal liability, reinforcing prevention measures, as well as strenghtening international enforcement mechanisms. Given the growing incidents of criminalization in the context of business operations, affected communities and civil society representatives raised their voices and urged protection for human rights defenders to be reflected. Feminists and women’s rights groups voiced concern over the lack of gender perspective throughout the Treaty. “Draft 0” addresses women by calling for “special attention” to them, but there is no concrete acknowledgement of the specific impacts women and girls suffer due to business operations, nor specific provisions to tackle this differentiated impact that the activities of TNCs have on women’s rights. “The active participation of an increasing number of States in the upcoming inter-sessional meetings and negotiations will be key to achieve an effective binding instrument to stop TNC impunity and advance in correcting the existing regulatory and power imbalances, which have emerged with globalization,” says Ana María Suárez Franco, Permanent Representative of FIAN International in Geneva. The chairperson-rapporteur will collect contributions from states and civil society organizations until the end of February next year and present the “Draft 1” in June. Informal consultations will take place before the 5th session of negotiations.